Michael Underwood has a wealth of live television presenting experience. He has the rare ability to work across entertainment and factual programming; and is one of the most talented and likeable presenters on our screens today. In 2016, he returned for series two of ITV’s prime time current affairs programme Real Stories with Ranvir Singh, and returned to breakfast television as guest Entertainment Editor on Good Morning Britain and reporter for This Morning. In 2013 he hosted his first prime time Saturday night show Let Me Entertain You for ITV. Not just a talented television presenter, Michael proved his worth on radio when he landed the job hosting an all new daily breakfast show for Heart Radio in 2013. Michael has also hosted his own gaming feature on talkSPORT Radio, as part of the hugely successful Hawksbee and Jacobs show. After graduating with a teaching degree from Plymouth University, Underwood began his career at BBC Radio Northampton. He landed a researcher position at the station, where he spotted an ad looking for a new children’s TV presenter. After a successful application, he appeared on the BBC One Saturday night show Whatever You Want, where he won a six week presenting job on CBBC. Michael stayed at CBBC for three years, honing his skills on live television providing the links, games and entertainment between the programmes. He was then poached by CITV where he went on to present four series of the hugely popular Jungle Run, Eliminator and The Big Bang before joining ITV’s flagship Saturday morning show Ministry of Mayhem. Being a family man is hugely important to Michael. He tied the knot with fellow TV presenter Angellica Bell in New York and the couple have two children. 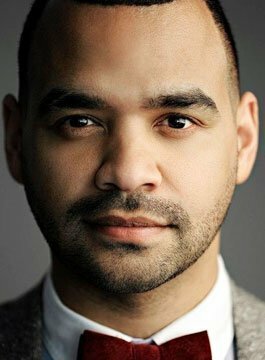 Michael Underwood is available as an awards host, facilitator and conference presenter.